The sergeant’s house, 96 High Street, as it become known, was built onto the side of Billericay’s then police station in 94 High Street, in about 1920. Prior to its construction the local police Sergeant was accommodated in the police station. 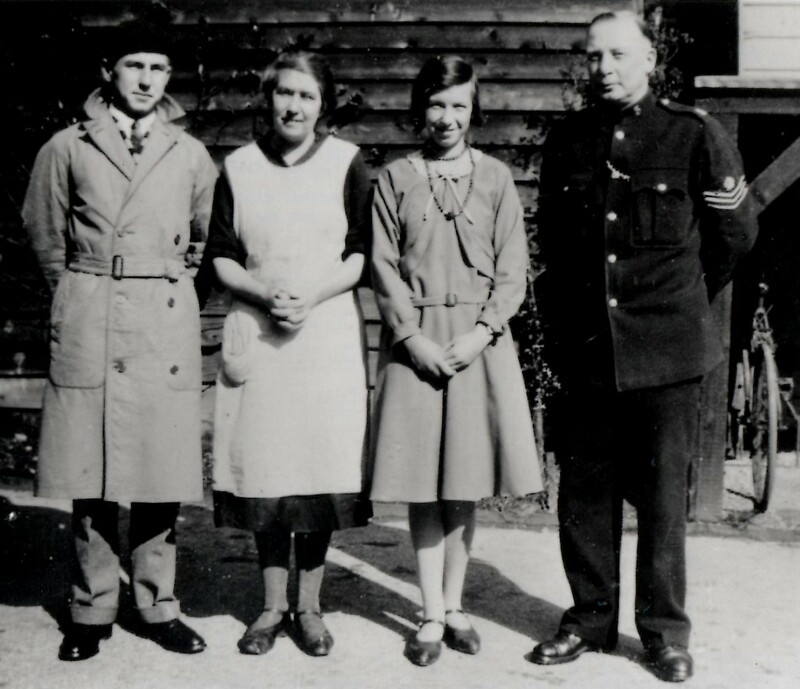 In 1926 Sergeant Alfred J Chandler took charge of policing in Billericay and three of his family are depicted here in front of their house. 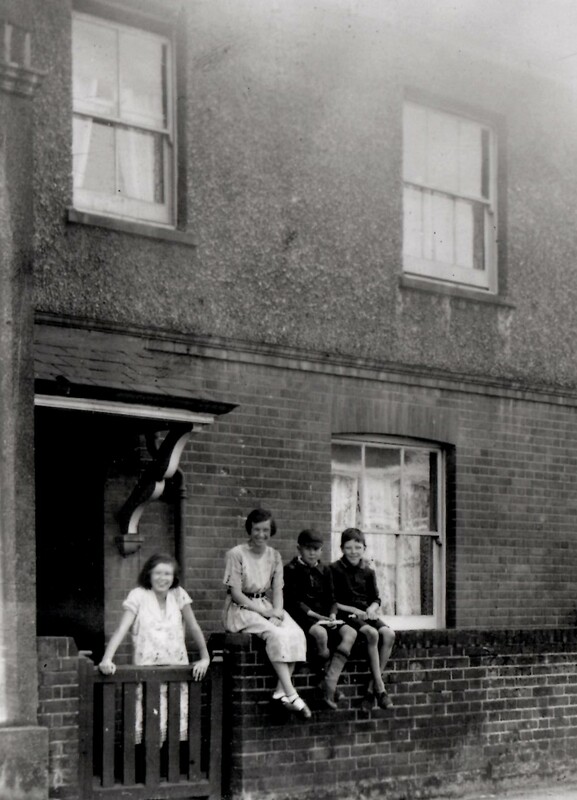 Emily is standing at the front gate with Mary, the eldest daughter, sitting on the wall, probably with Tom Chandler and an unidentified friend. The other later photograph shows sergeant Alfred John Candler with Jack Candler, Ada Candler, nee Constable, and Mary Candler. The Candlers came to Billericay in about 1926 and he was stationed there for about seven years. He was then transferred to Brentwood, shortly before he retired.